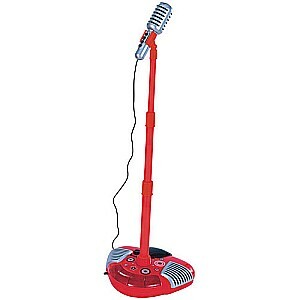 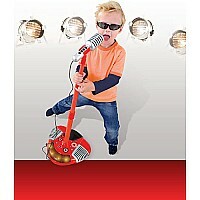 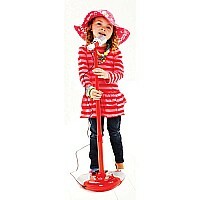 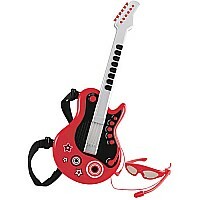 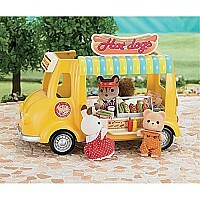 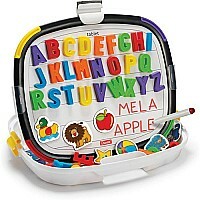 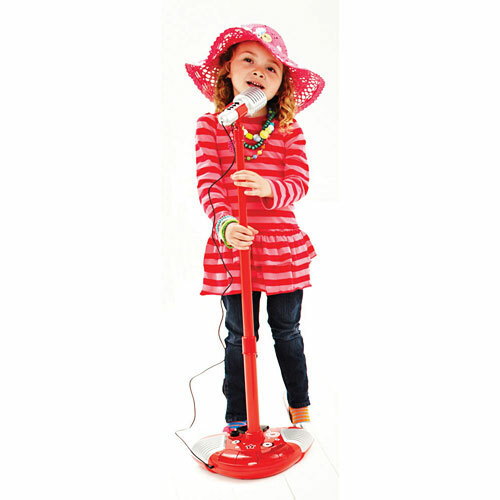 Includes adjustable stand, foot pedals with clapping and cheering effects and flashing lights. 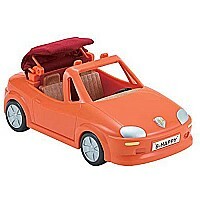 Approximate assembled size is 13 1/2" x 53". 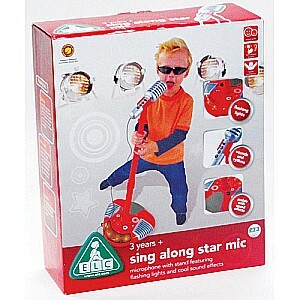 Four "C" batteries not included.